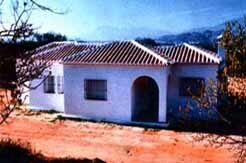 We specialise in inland properties on the Costa Del Sol . With our help you can find those unique properties away from the tourist centres. looking for at the right price is our aim. Everything from Cortijos, Palaces, Business Hotels and historic houses to small ruins to renovate and hidden fincas. Development land, investment and business opportunities are hidden and waiting to be found. We have plots with new built, prices start from 150.000?, depending on the price of the land. this includes a swimming pool and fencing. This delightful project consists of private Villas, Townhouses, Apartments, Hotel with leisure installations and shopping area set in an overall area of 398.000 m2. Its classical Andalucian style, its rural environment, its stunning views and proximity to town makes this project one of the most attractive inside Costa del Sol. 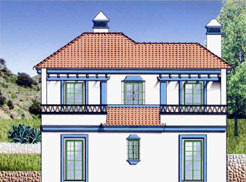 A new and exclusive development that offers much more than a country property. This desirable complex of townhouses will comprise of 30 dwellings on phase 1A and a further 20 on phase 1B, all located to offer a peaceful mountain setting overlooking the valleys and views of the village of Almogia. facilities will include, 2 community swimming pools, ample recreational areas, and parking zones. We have searched we have compared and we have established, there is no better property value available here on the Costa del Sol like Las Ramblas de Almogia. A choice of 2 / 3 / or 4 bedroom detached villas set in beautiful panoramic plots of 1,000m2 on the urbanisation of Las Ramblas de Almogia. Complete infrastructure and main services to each individual plot. This exceptional development is within 5 minutes walking distance to the village of Almogia, and only 30 minutes drive from Malaga international airport. 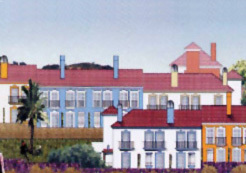 This development perfectly caters for people who like the real Spain as opposed to the more seasonal coastal areas. This promotion is located slightly inland, approximately 25 minutes inland from the Sotogrande coastline. 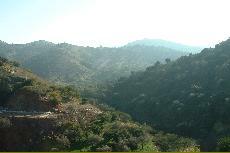 It is actually inside the Natural Park of "Los Alcornocales," which is the last Mediterranean forest in Europe. The town of Jimena de la Frontera was officially declared as an area of Historical and Artistic importance in 1983. The development is gated so the facilities are private for the residents. The kitchens are fully fitted with the very best of amenities, the air-conditioning is included (pre-installed) with a hot/cold air con unit and the bathrooms also come finished. There is top quality Spanish marble throughout the apartments, and as the beach is a half hour drive away, the development is away from the hustle and bustle of the coast. The development is located just over an hour west of Malaga and the airport, but is only approximately half an hour away from Gibraltar airport and its tax haven. All of the amenities of the town, such as restaurants, bars and so on are within easy walking distance.